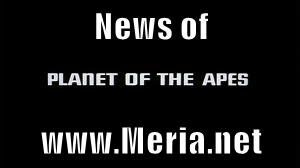 11/29/18 News of Planet of the Apes, With Meria. Michael Cohen pleads guilty to more lies; Manafort lies; Deutsche Bank raided; Trump Org admin raided; Border patrol still separating kids; Ferguson deaths; Senators on Yemen; Gina Haspel; Khashoggi; 40 seats; comet heading; Bundy on trump; Springsteen on trump; President of US Catholics raided; Russian blockades against Ukraine; trump off to G20; 18 mo old baby dies after detention; Pelosi; Mississippi votes for racist; Mexico vs. US; trump vs. GM, Fed, etc; 84 farms file bankruptcy; Stacey Abrams files lawsuit; trump protects Saudis; spraying the skies; Jeffrey Epstein & trumps Secy of Labor; Whitaker-anti-abortion; 100 women a day killed; Fall of facebook; Melania’s handmaid tale trees; Sarah Sanders; Az vs trump; trumps conservative courts; Kasich; tear gas; Netanyahu & much more.